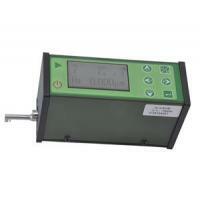 handheld instrument, it operation simple, function overall, measure fast, accuracy stability, take convenience. The ANK is capable of evaluating sueface textures with a variety of parameters according to various national standards and international standard.The measurement results are displayed digitall/graphically on the LCD,and output to the printer. 13: Optional printer, analysis software and measurement platform.